The rush during the late ’20s was so great that Henry Flagler’s Florida East Coast tracks couldn’t handle all the business. So the Seaboard Air Line railroad reached down from North Florida, building stations along the way. 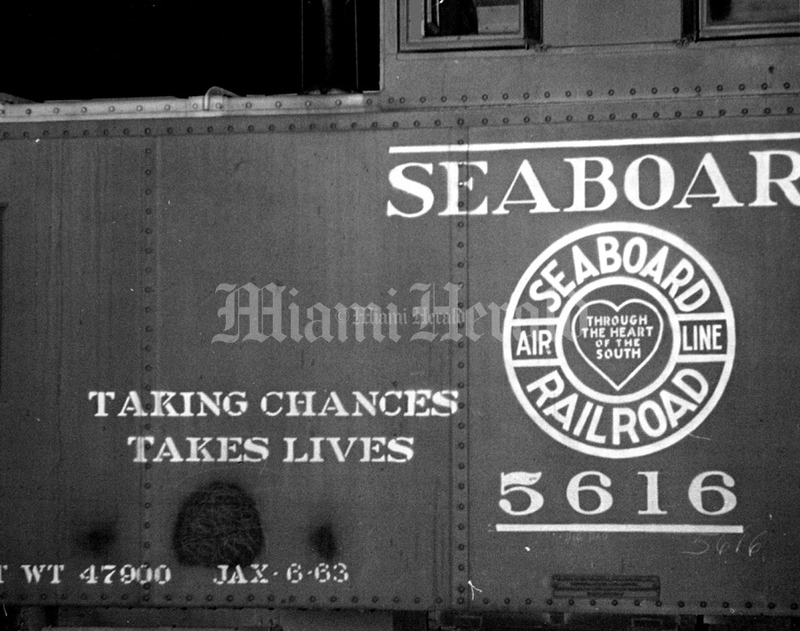 On Jan. 8, 1927, a train called the Orange Blossom Special made its first journey into Hollywood and Miami on the Seaboard Air Line Railway, built west of Flagler’s FEC tracks. 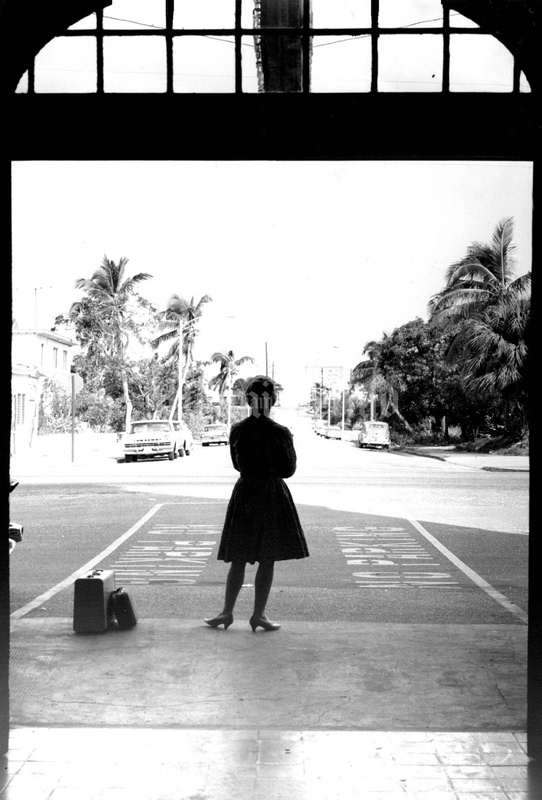 Dorothy Walker Bush, the grandmother of President George W. Bush and Florida Gov. Jeb Bush, was on that historic train. 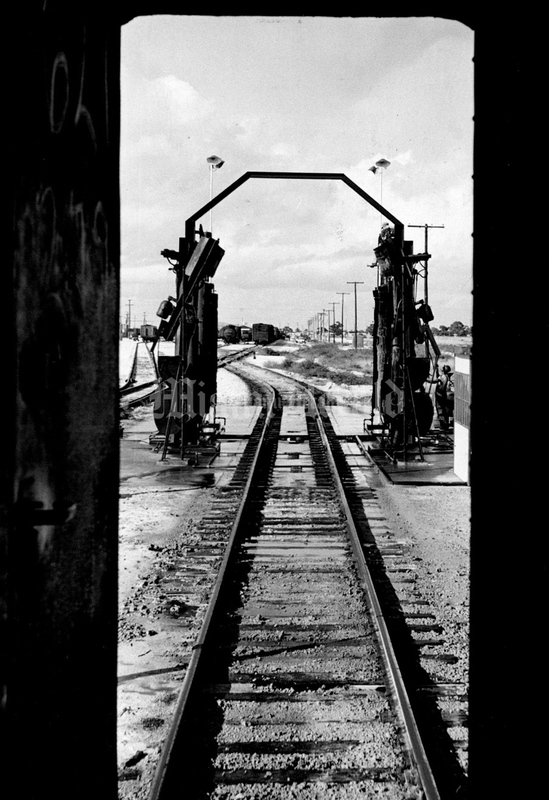 The railway came at a time when it was most needed for Miami’s growth. 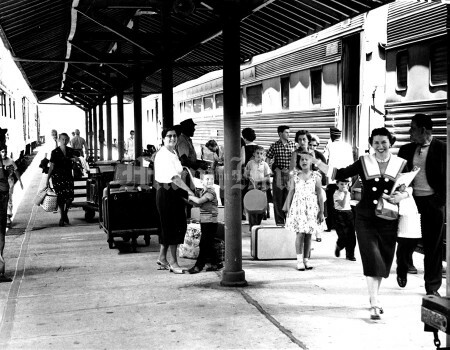 It provided the first direct rail connection between Florida’s East and West coasts and welcomed homesteaders during the land boom. The railroad brought the people, and everything they needed to live here. 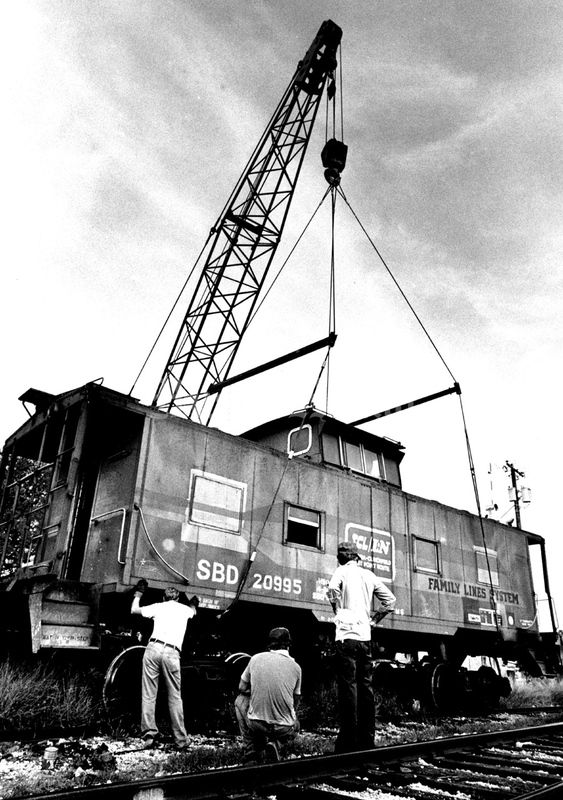 It carried back north everything they made or grew. In 1963, the Florida East coast Railway abandoned passenger services leaving Seaboard the only passenger train in the area. 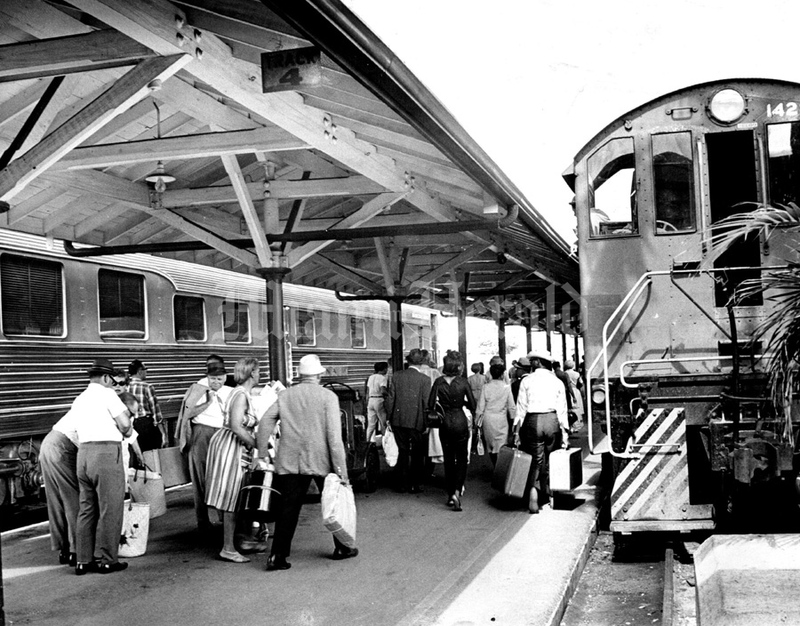 Vacationers and travelers from the northern states, enamored with the tropical climate, made the railway destination very profitable all they way into the sixties. 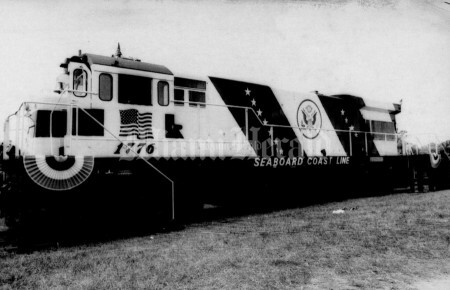 In 1967, the Seaboard Airline and the Atlantic Coast Line merged to form the Seaboard Coastline. 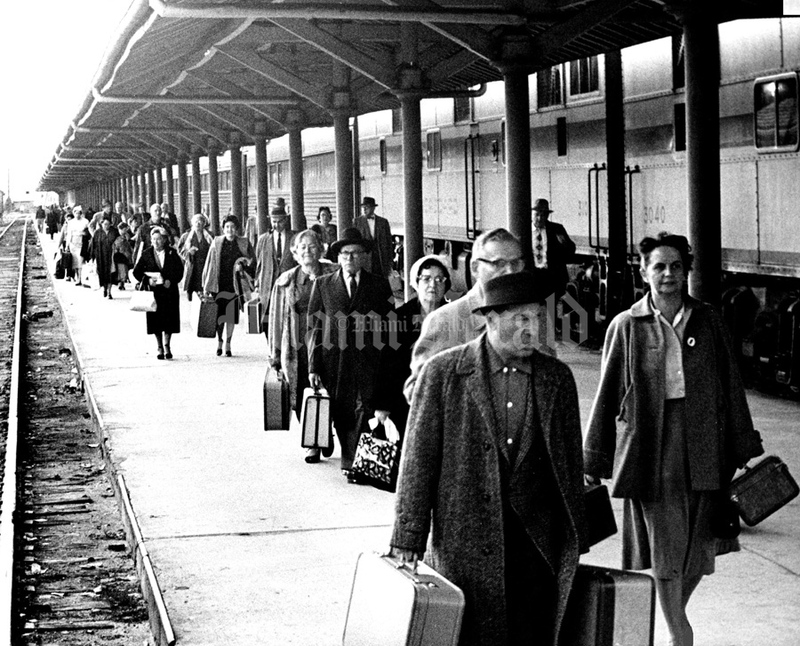 The combined system totaled 9,809 miles, the eighth largest in the United States at the time. 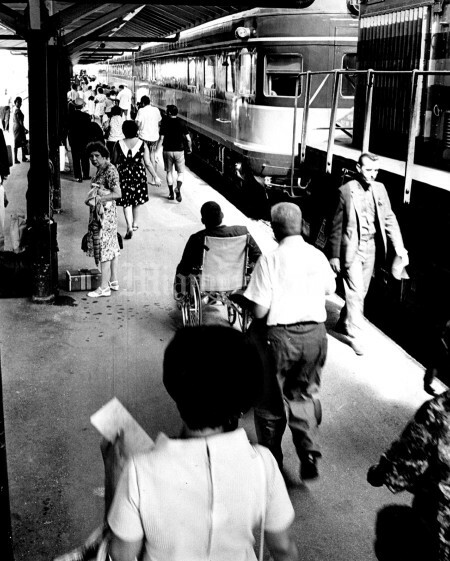 In the 70’s Amtrak took over the lines. 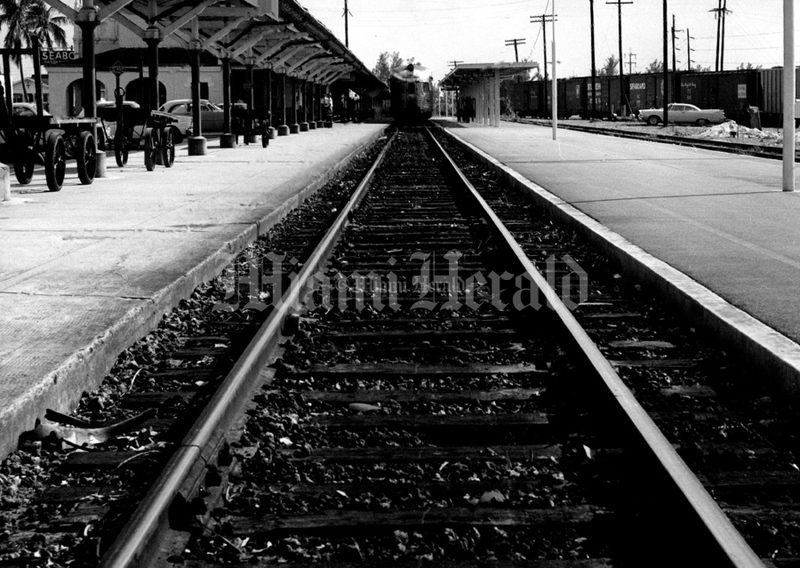 7/31/1973, Dave Didio/Miami Herald Staff: Seaboard Railroad terminal. 5/5/1952, John Walther/Miami Herald: L to R: Mayor Senerchia, Wes Ficht (General Passenger Agent) and J.M. 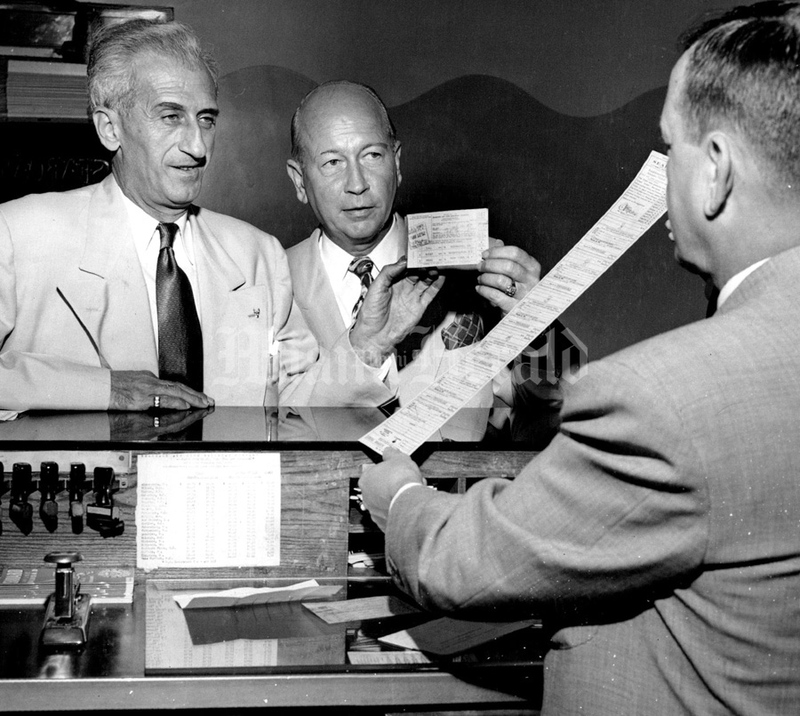 Gray (City Ticket Agent) Seaboard's new type tickets doing away with the mile long old fashioned railroad tickets. 2/8/1963, Miami Herald: Rail Rush. Although Florida East Coast Railway stations are empty these days, there's no slack in trade on other lines. 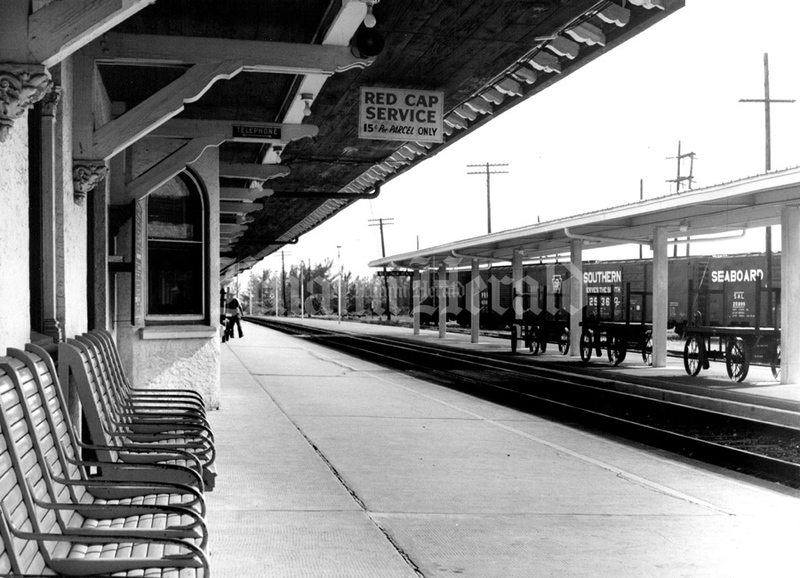 In fact, with passengers all departing from Miami's Seaboard station, business is better than ever, as this picture demonstrates. 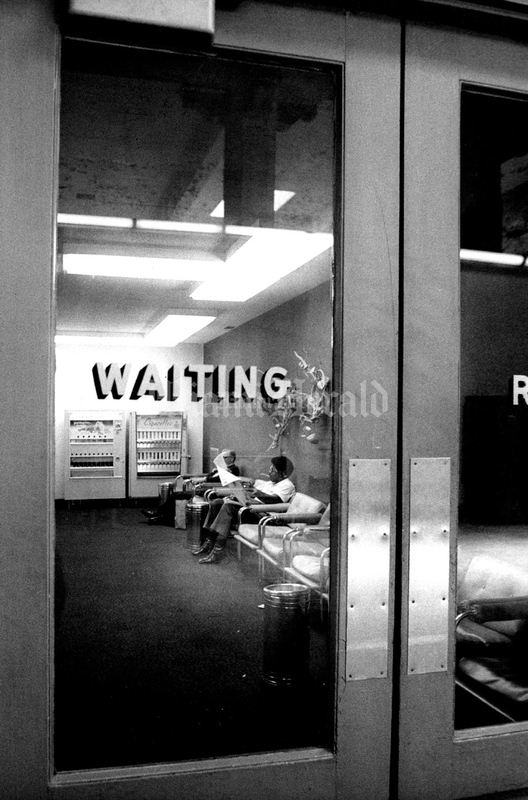 7/13/1973, Dave Didio/Miami Herald: Waiting room at Seaboard terminal. 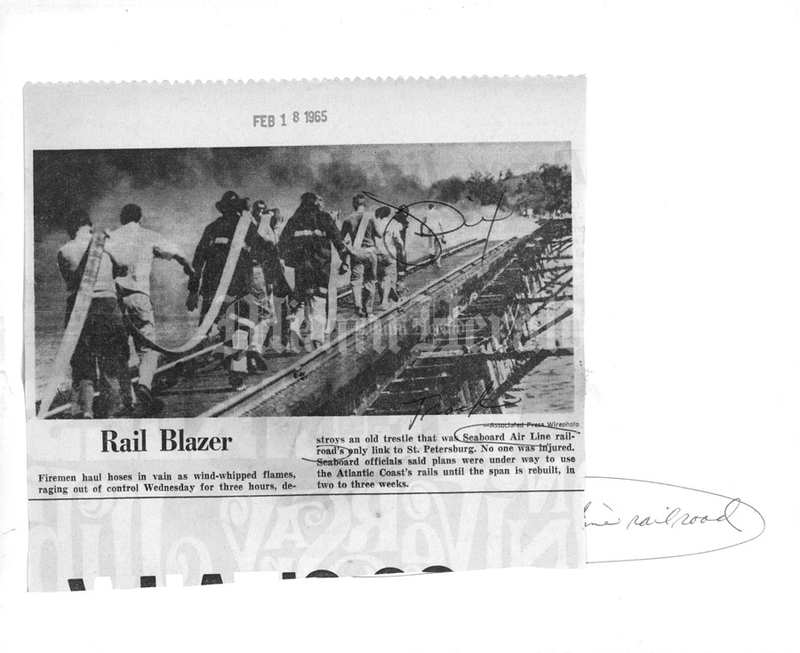 2/17/1965: FIRE BRIGADE -- Firemen haul a long hose to the scene of a railroad trestle fire today but it wasn't easy. 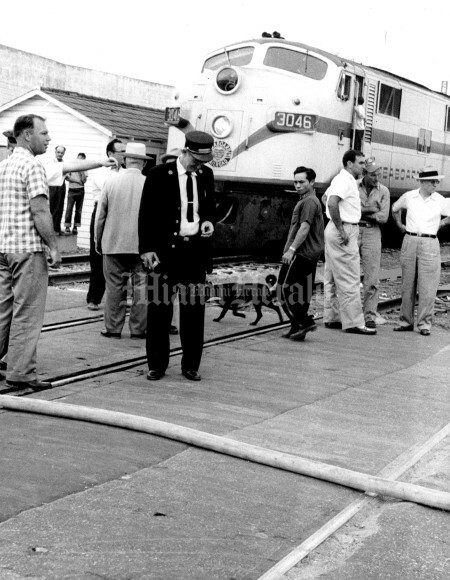 The nearest hydrant was 3/4 mile from the blaze. They were still trying to get hoses strung far enough an hour after the fire was first reported. 5/3/1968, John Walther/Miami Herald: Seaboard Railroad. 6/19/1978, Tim Chapman/Miami Herald: The last crew out of Miami station at NW 7th ave and 22 st is photographed in front of #94, the Floridan to Chicago and all points in between. 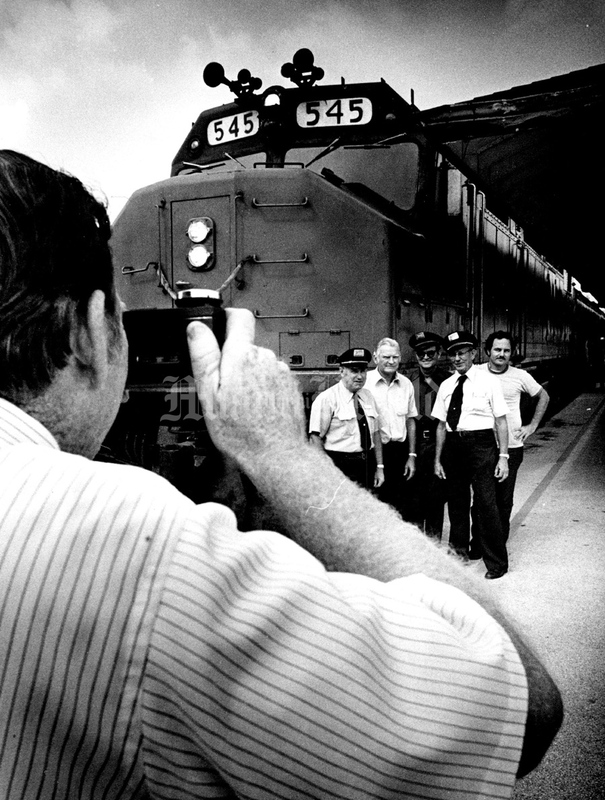 Train operator Tom Russe 11 shoots photos of his friends it pulled out of Miami at 5:10. 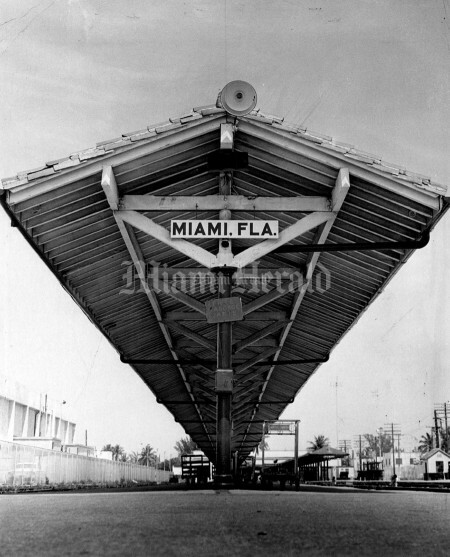 1/19/1965, Tom McCarthy/Miami Herald: Looking off top of overpass on 49 st of Seabord Airline. Undated, John Walther/Miami Herald: Seaboard Railroad. 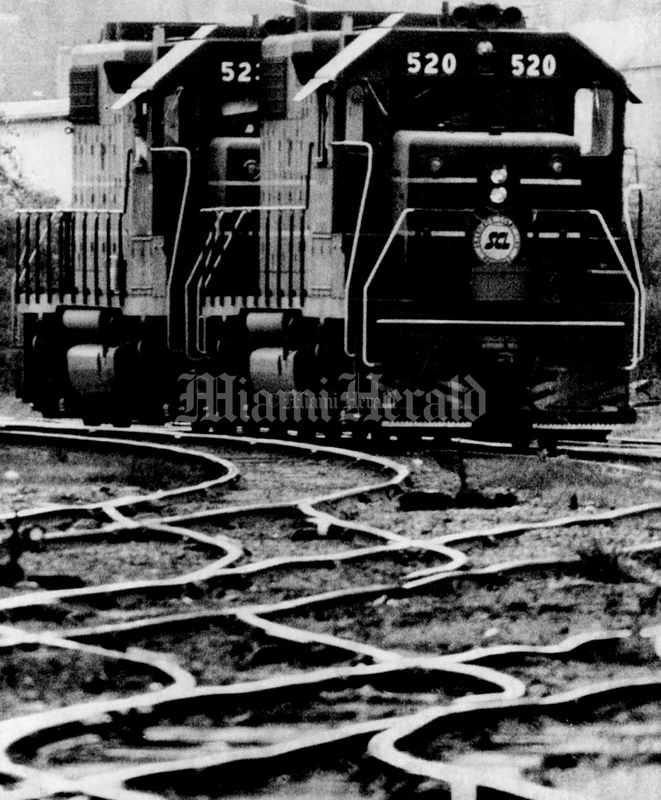 2/7/1968, Ira Rosenberg/Miami Herald: Seaboard Railroad. 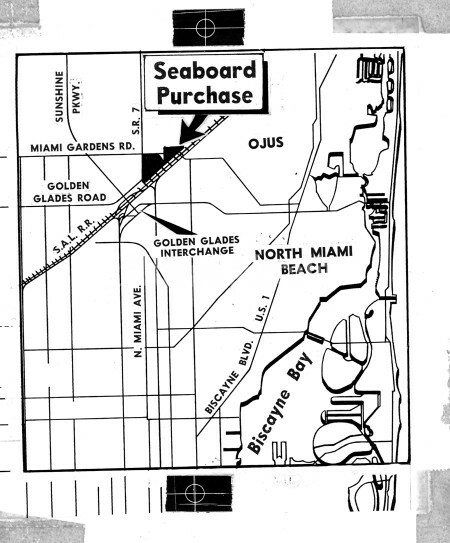 3/20/1960, Miami Herald: 200 Acres for $2.2 Million. 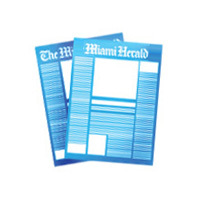 Big Industry Tract Bought by Seaboard. A 200-acre industrial tract near the Golden Glades Interchange has been purchased by the Seaboard Air Line Railroad for $2.2 million or $11,000 an acre. 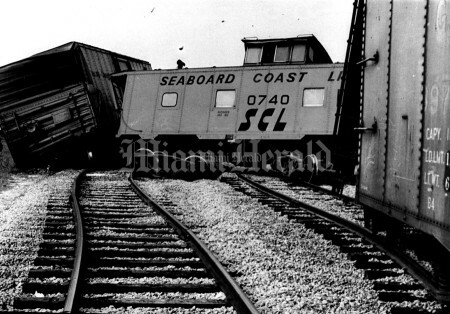 5/4/1977, Albert Coya/Miami Herald: Derrailed caboose at the Clover Leaf. 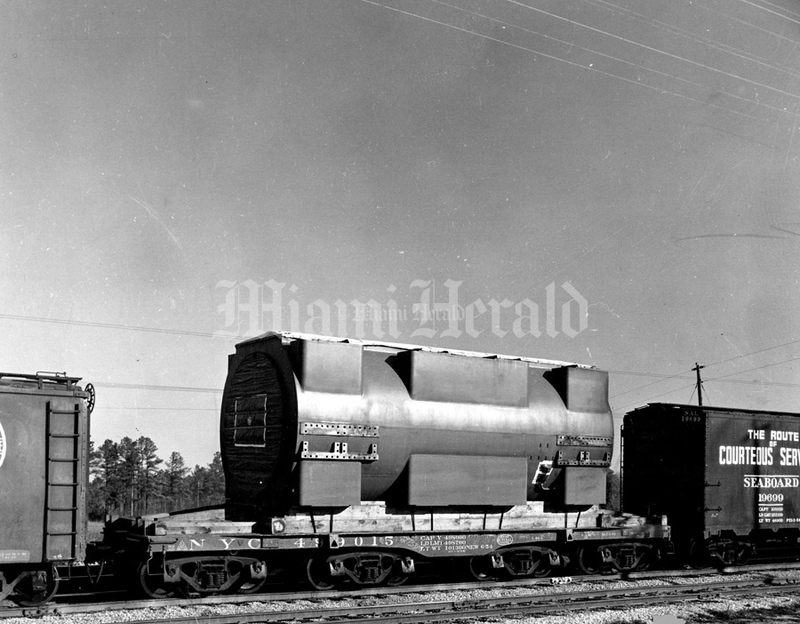 3/12/1955: MIGHTY MONSTER of power is this half-million pound steam turbine generator stator which arrived in Miami aboard a specially-built Seaboard Railroad flatcar. It was the heaviest freight shipment in Seaboard's history. 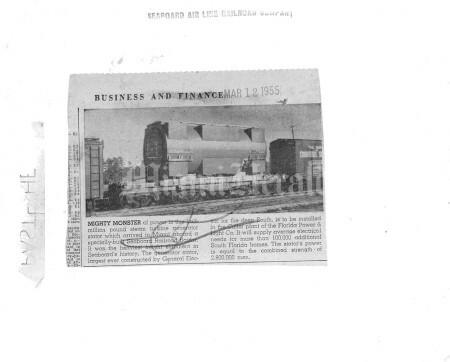 The generator stator, largest ever constructed by General Electric for the deep South, is to be installed in the Cutler plant of the Florida Power & Co. 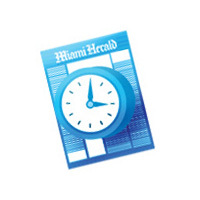 It will supply average electrical needs for more than 100,000 additional South Florida homes. 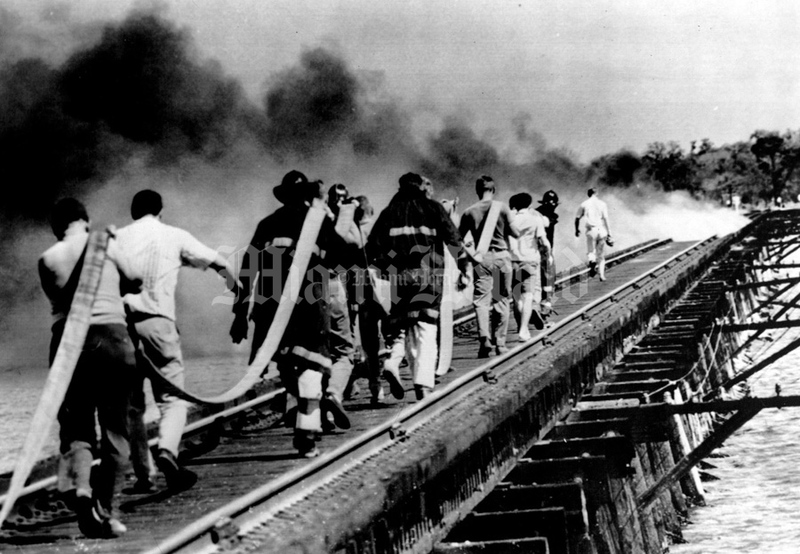 The stator's power is equal to the combined strength of 2,800,000 men. 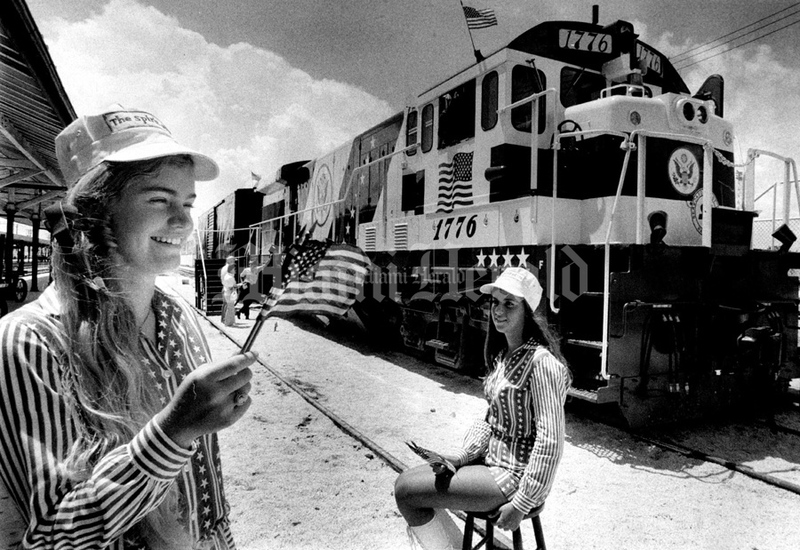 8/17/1971, Marlin Levinson/Miami Herald: Spirit of '76 Kim Huband 15, foreground Diane Domines 15 Seaboard Coast Line. 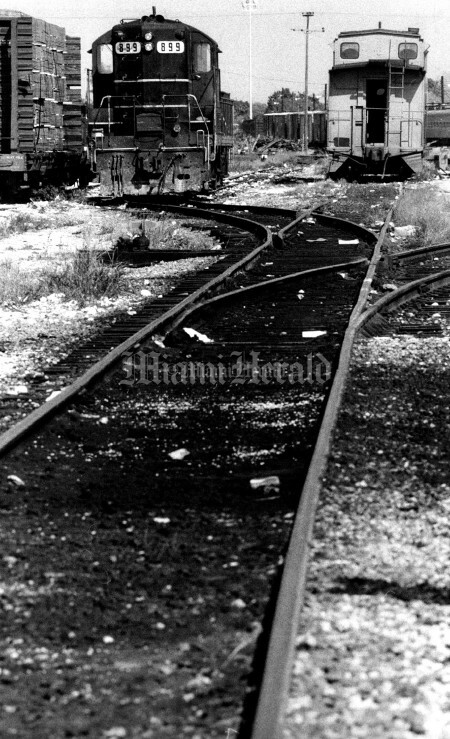 9/5/1986, Rick McCawley/Miami Herald: Train car is lifted off the tracks by volunteer workers. 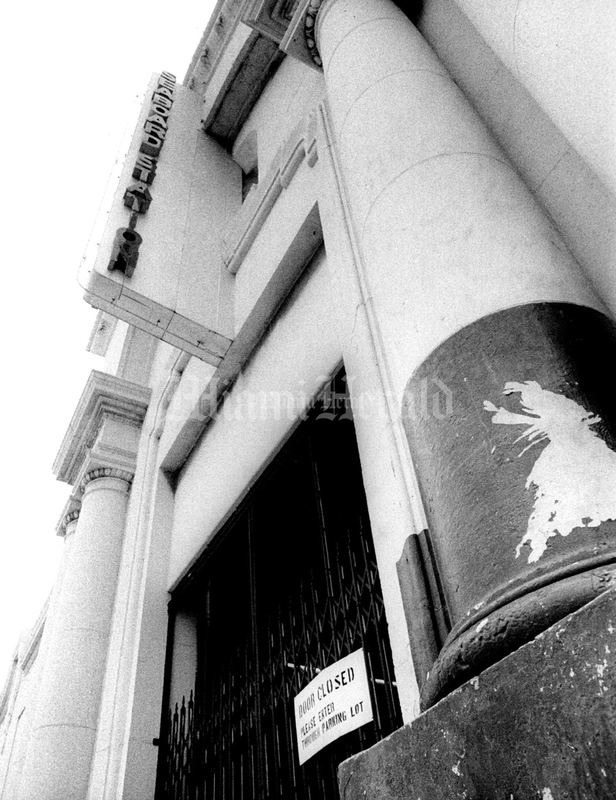 It was transported to David Fairchild Elementary to be used as a lab class to promote reading. 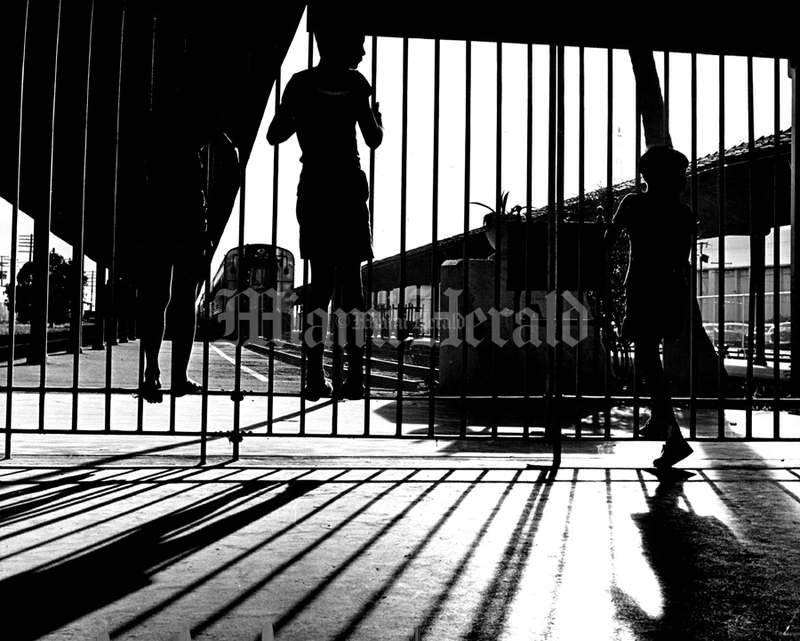 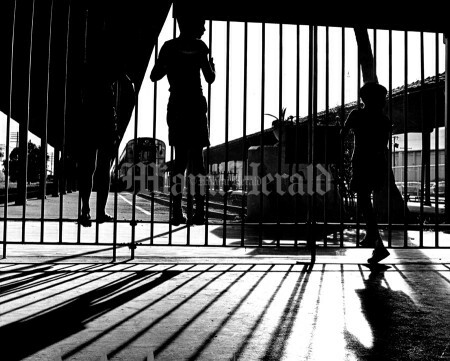 7/14/1961, Earl Dehart/Miami Herald: Boys At The Depot. IT IS somehow heartening to know that, sometimes, boys still go to see the trains; to hang around the depot and to sample the thousand handholds; to climb, clamber and clown around on the things they have no business on. 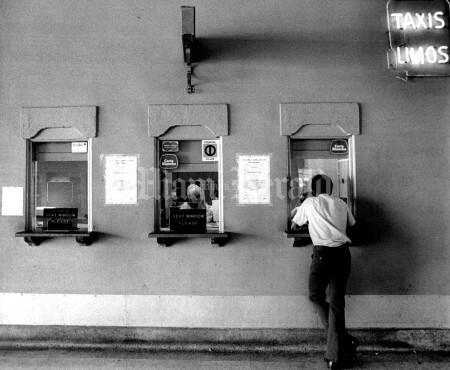 Perhaps it is heartening because many of us used to do it while savoring the three that are important to boys in any time: bigness, power and noise. 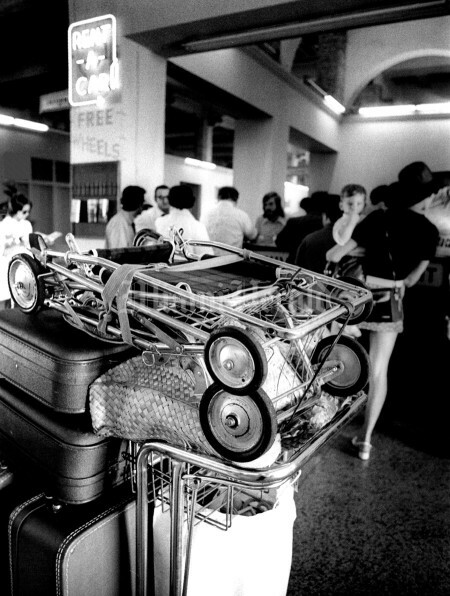 Now, of course, there are bigger, more powerful and noisier things. 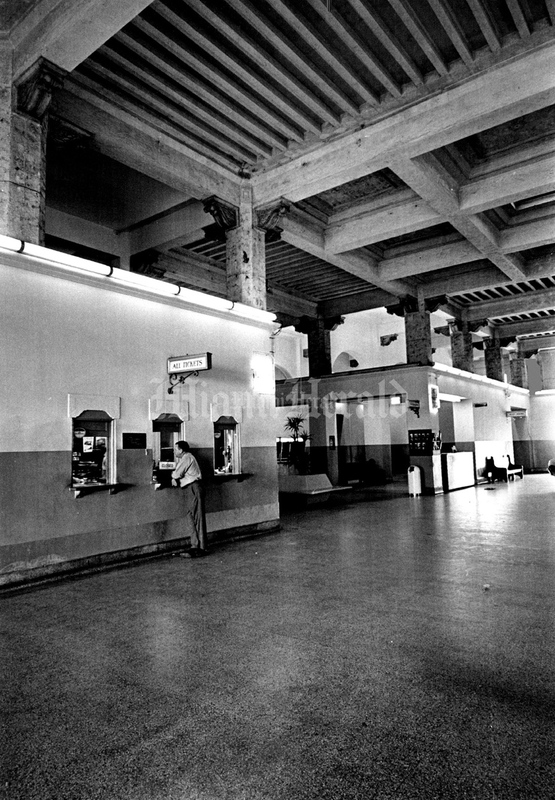 And if awesome wonder takes the boys to see the jets, curiosity, at least, can still guide them to the trains. 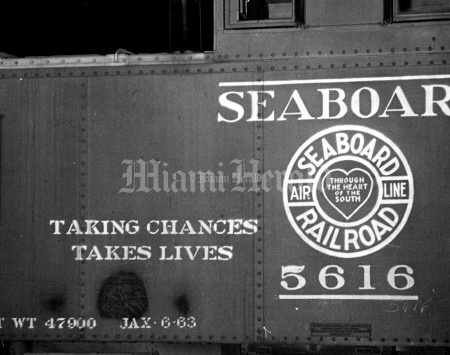 Undated, Bob East/Miami Herald: Seaboard Air Line Railroad. 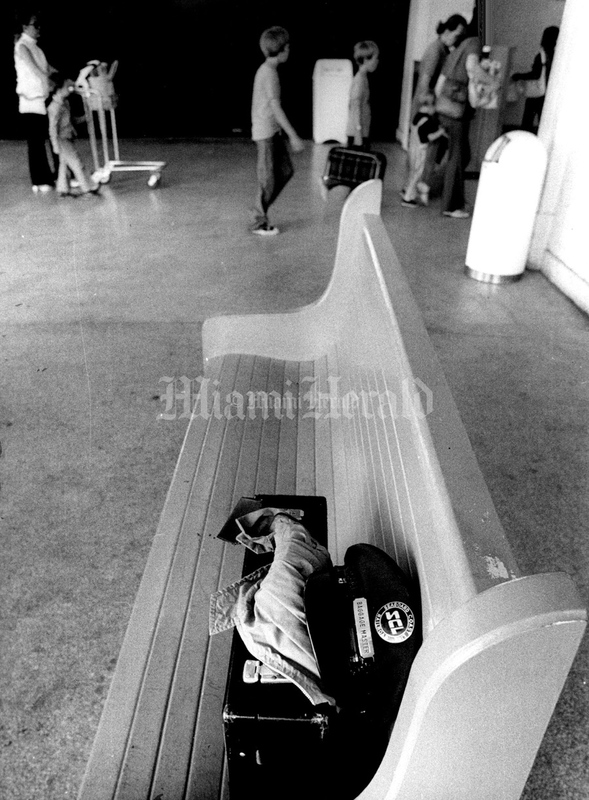 7/31/1973, Dave Didio/Miami Herald: Waiting for baggage at the baggage window at Seaboard terminal. 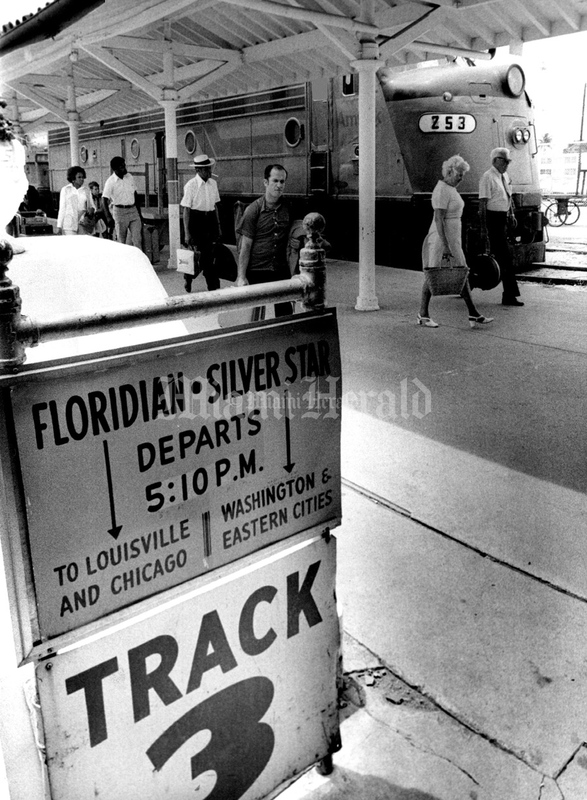 7/13/1973, Dave Didio/Miami Herald: Passengers getting off arriving train at Seaboard terminal. 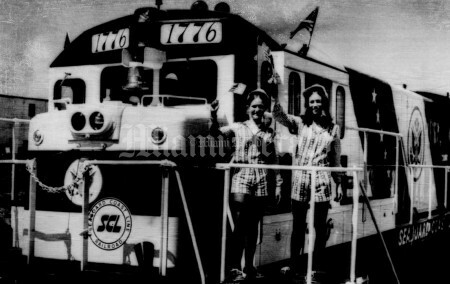 Undated, Sterland Clarke/Miami Herald: Allison Bell (left) and Pat Umlauf join ceremonies unveiling the Seaboard Coast Lines' new locomotive, "The Spirit of '76, which will travel throughout the nation to remind people of the country's upcoming bicentennial celebration. 7/9/1966, Jim Birmingham/Miami Herald: Depot is jammed With passengers...Seaboard added extra cars for rush. 10/21/1964: Seaboard Airlines Railway Station. 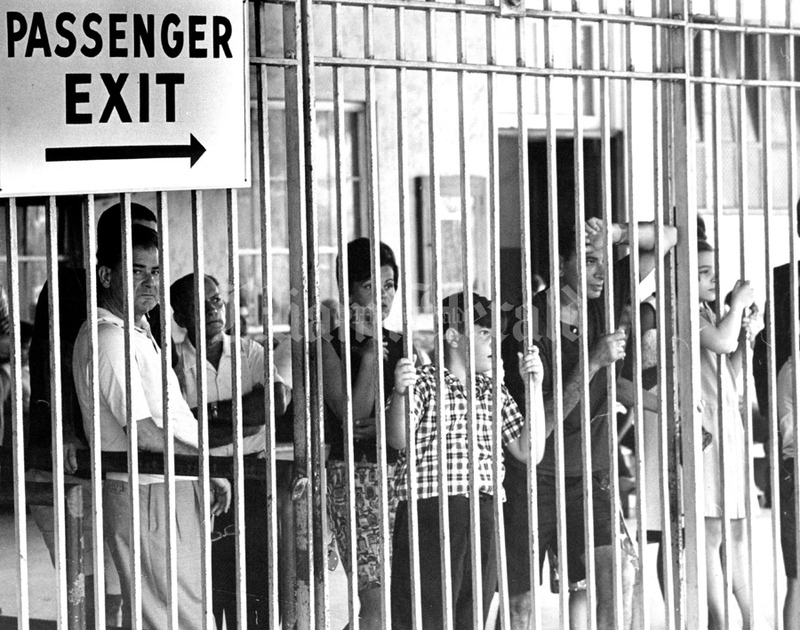 7/10/1966, Jeff Joffe/Miami Herald: ‘Caged’ Miamians wait for relatives arriving from North...extra long train teas two hours late. 8/23/1973, John Pineda/Miami Herald: Seaboard train station. 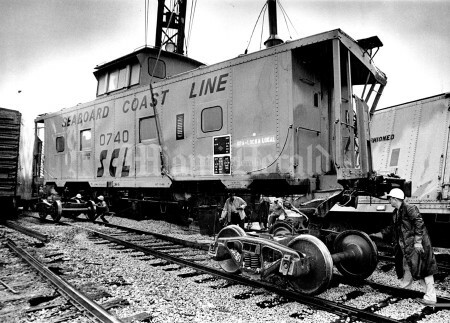 3/29/1974: ENGINEERING THE CURVES -- A Seaboard Coast Line engine and its running mate appear to be facing a maze of tracks which would take quite an engineer to maneuver the stretch. The engine actually is traveling a straight stretch of track but the photographer obviously saw some humor in the scene as he compressed a series of changing tracks in the foreground with a long telephoto lens. 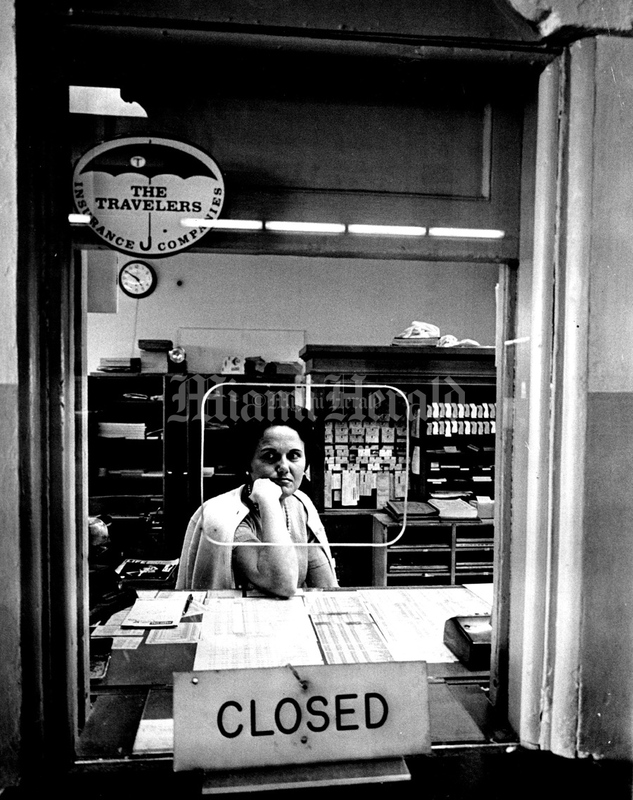 2/7/1968, Ira Rosenberg/Miami Herald: Mrs. Lucy Wilson -Ticket Clerk. 2/14/1967, Jeff Joffe/Miami Herald: U.S. Martin and 2 1/2 year old Rudolf Addison. 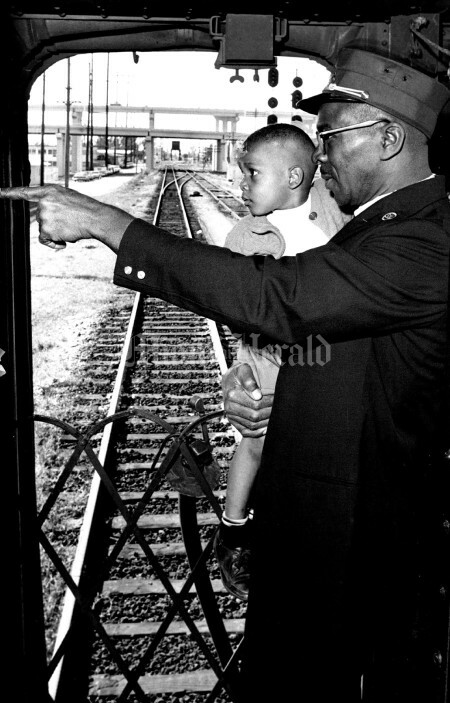 Kids from Dorsey child center on train trip. 6/23/1959, Lewis McLain/Miami Herald: Passengers log from in Miami for Railroad station. 10/21/1964: Seaboard Air Line Railway Station. 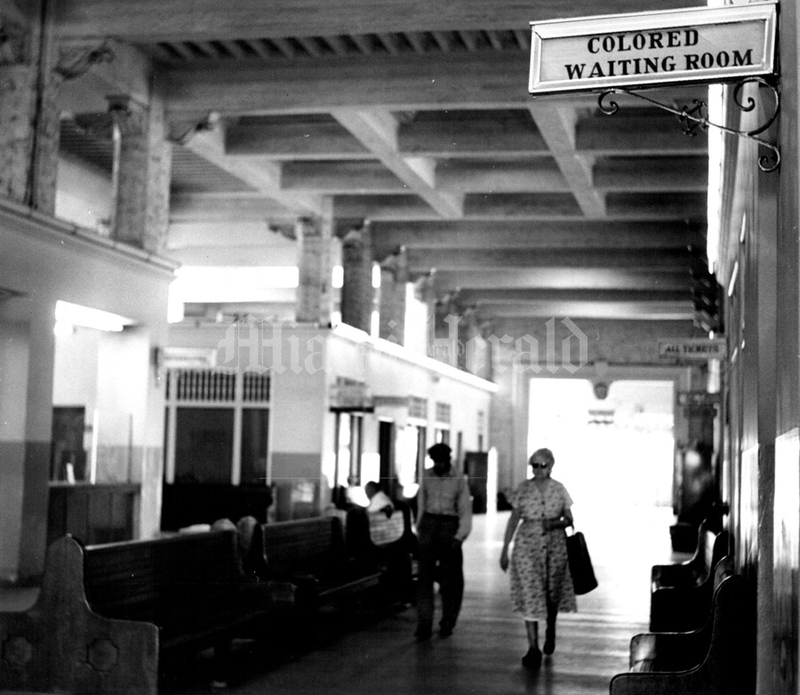 Undated, Doug Kennedy/Miami Herald: Seaboard station segregation sign. 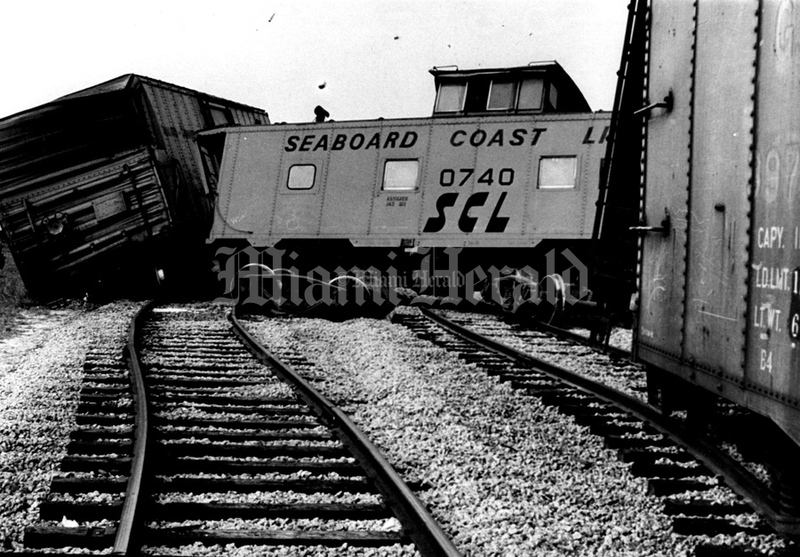 11/2/1951, Bob East/Miami Herald: Seaboard Railway. 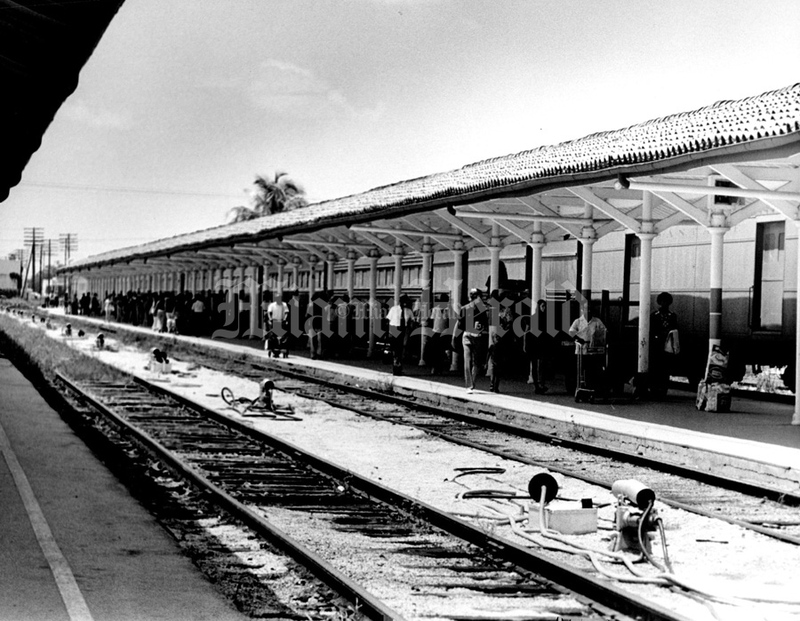 7/9/1966, Jim Birmingham/Miami Herald: Airline passengers stranded by strike turn to trains for help...crowds such as this filled the Seaboard Railroad Station. 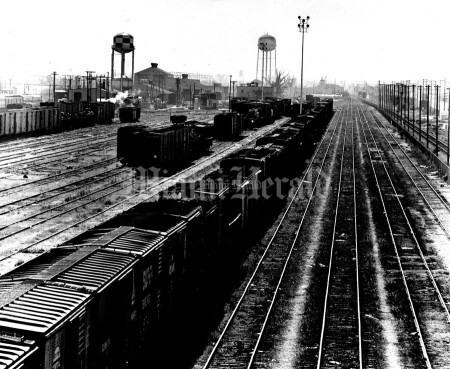 11/2/1951, Bob East/Miami Herald: Seaboard Railroad. 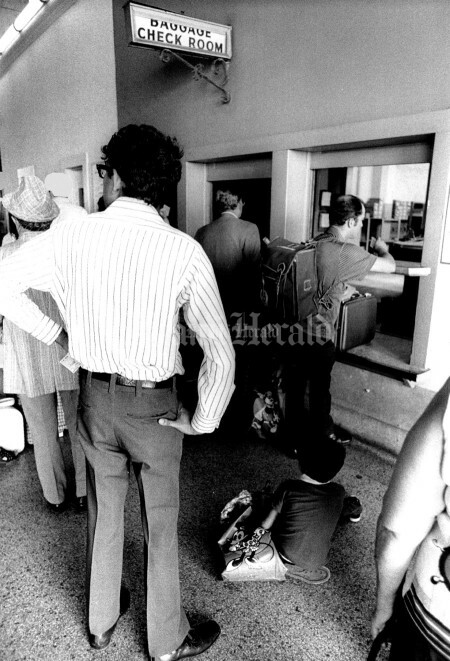 7/31/1975, Dave Didio/Miami Herald: Inside the Seaboard terminal. 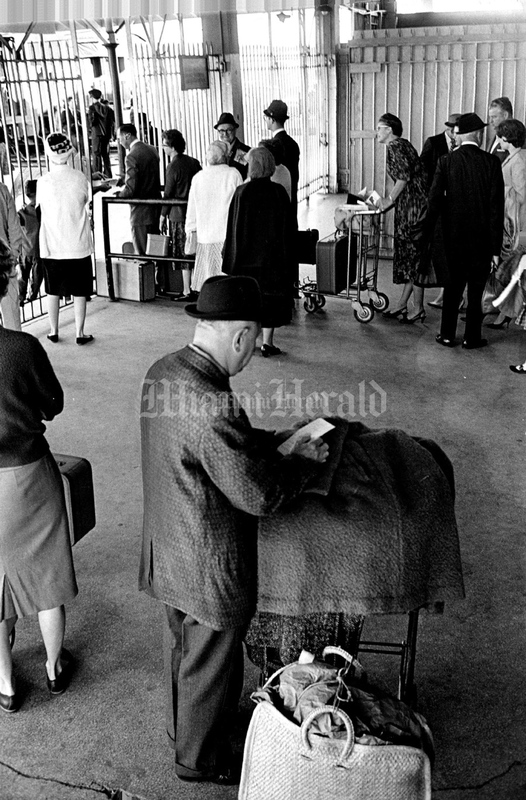 4/27/1956, Miami Herald: Seaboard Airline conductor G.E. Beach. 1/19/1978: Seaboard Coastline Railroad in Hialeah. 7/31/1973, Dave Didio/Miami Herald: Inside the Seaboard terminal. 2/7/1968, Ira Rosenberg/Miami Herald: Linda Taylor, cashier at Magazine Shop. 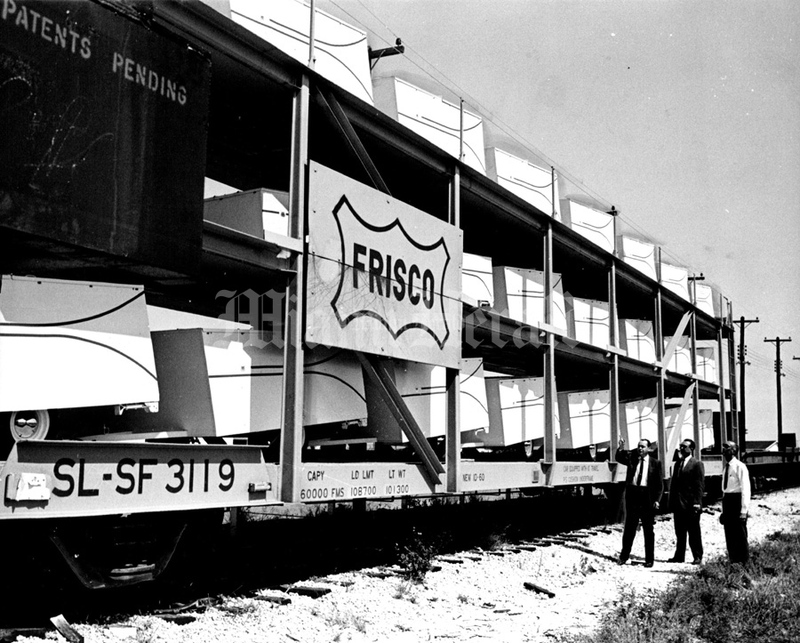 10/5/1952: Trainload of Florida vegetables and citrus speeds north. 11/25/1955, Doug Kennedy/Miami Herald: Seaboard station segregation sign. 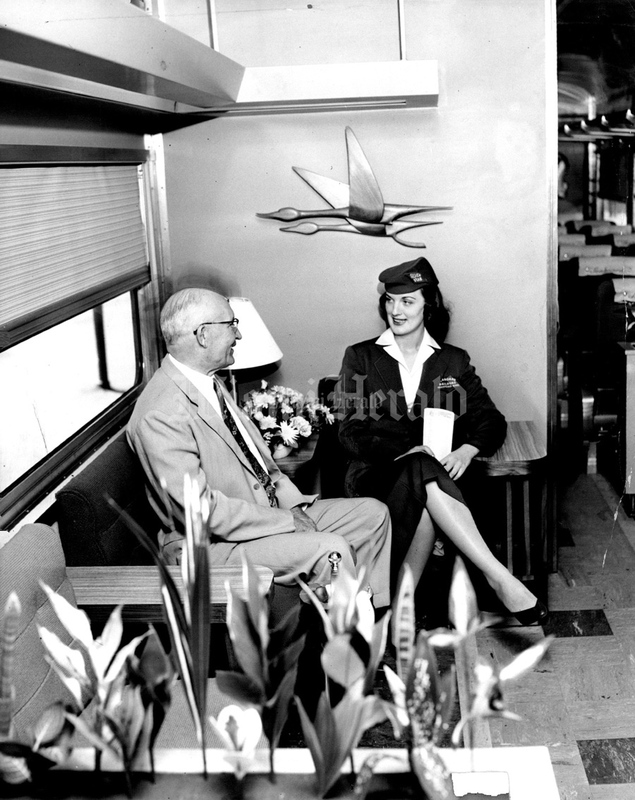 1/28/1956, Miami Herald Staff: LIVING ROOM comfort is provided in the new deluxe coaches of Seaboard Airline Railroad Which feature a center lounge. First of the new equipment to arrive here was inspected by Miamians at the SAL terminal Friday. Making themselves at heme in this coach are Henry O. 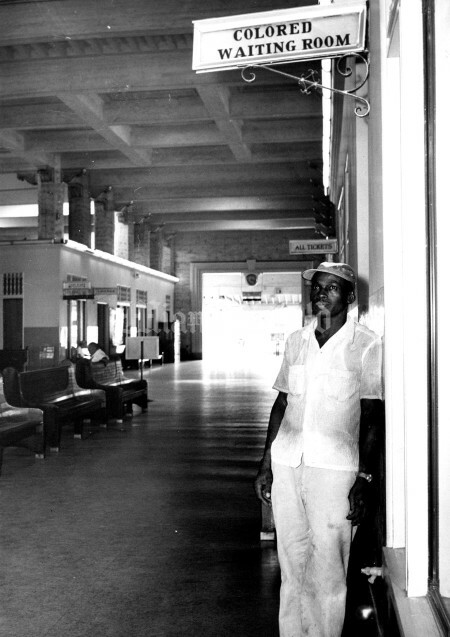 Show, a Seaboard director, and Nurse Ann Aiken, a hostess. 4/16/1961, Bill Stapleton/Miami Herald: Triple Deck. Railroads are bidding for a bigger share of the long-haul freight business with triple-decker piggyback cars like this, which pulled into the Seaboard railroad yards in Hialeah after a trip from Kansas. The cargo here is a load of auto trailers. But the triple deckers are also carrying automobiles. 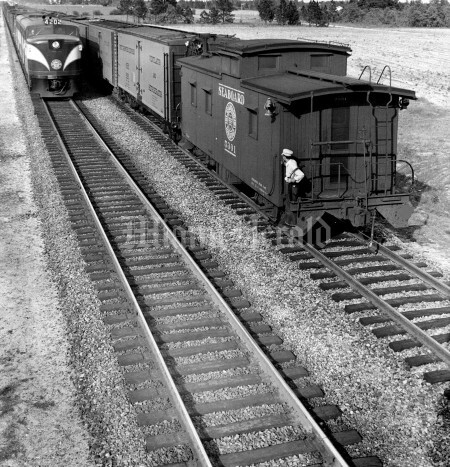 Railroads say these rail cars materially cut transportation costs, since you can get so many more items on a single car. 7/31/1973, Dave Didio/Miami Herald Staff: Seaboard ticket windows. 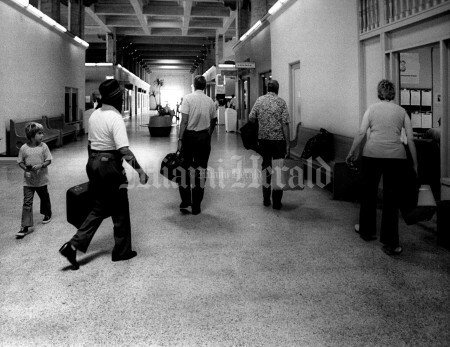 7/31/1973, Dave Didio/Miami Herald Staff: Inside Seaboard Railroad terminal. 1/19/1978: Seaboard Coast Line Railroad train engineer J. 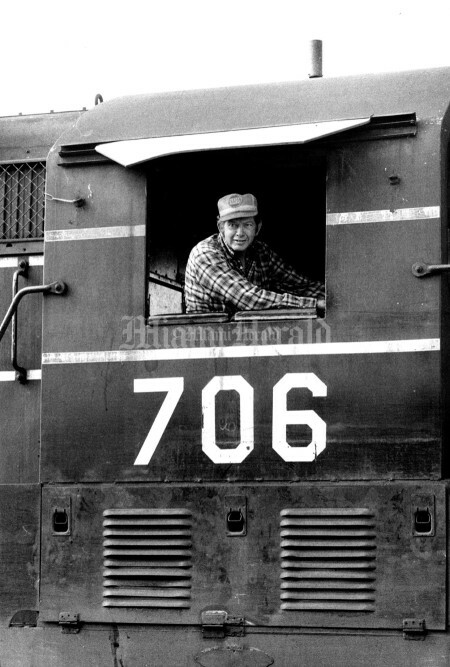 B. Gaither.